Bergeron is in many people’s eyes the best player on the Bruins. Many were saying he would have a legit shot at the Hart Trophy before he went down with injury. Even though he only played in 64 games last year, he still had his third-highest total in goals with 30. He also had 33 assists, and 63 points last year. 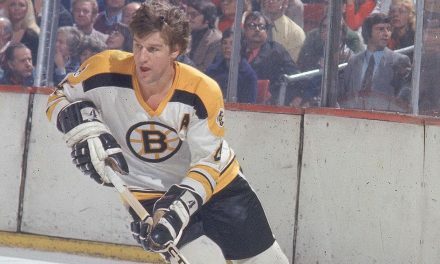 Bergy also tacked on 16 points in the 11 games he played in the playoffs ,which included 6 goals and 10 assists. Patrice Bergeron has racked up quite a bit of accomplishments over his 14 year career. He is a two-time all-star, four-time Selke winner (award for best defensive forward), and is a Stanley Cup Champion. Bergeron is a candidate for the Hart Trophy this year if he plays at the level he did last year and stays healthy. Bergeron will not be on the trip with the Bruins to China this month. He will continue to rehab his injury. The Bruins start their season off against the defending Stanley Cup Champion Washington Capitals. Not having him for games like that could have some impact for home ice in the playoffs. Bergeron missed 18 games last year in the regular season, and 1 game in the playoffs.